Meagan Box is a 2006 graduate of the SIU School of Law, where she was a member of the Moot Court Trial Team and graduated second in her class. She developed her interest in law and gained initial practical experience in the legal field by working as a law clerk at the Law Office of William K. Gullberg, Jr., beginning in the late fall of 2002. Shortly after being admitted to the Illinois bar in the late fall of 2006, Meagan became the Junior Partner at Gullberg & Box, LLC. Meagan is dedicated to defending and protecting the rights, freedom, and property of her clients. Meagan’s professional history includes a year of working for Henderson County as their alternate public defender. In this position, Meagan handled a wide range of criminal matters, including: battery, theft, drug charges, criminal damage to property, DUI, and arson. As the Junior Partner of Gullberg & Box, Meagan has also handled a wide variety of civil matters including: civil litigation; collection cases, including those involving fraud; family law matters, including divorce and child custody; real estate transactions; business formation and dissolution; and estate planning. 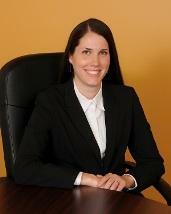 Meagan also assists Bill in handling worker’s compensation cases for injured workers. Meagan is also licensed in Iowa, where she currently handles OWI cases in the Iowa counties of Des Moines, Lee, & Scott and estate planning matters. Meagan’s interests include: spending time with her family, hiking, gardening, and assisting her family in their farming operation.